Purchase your ticket today to our annual PWA MCD 2018! The Pasifika Womens Alliance invites you to come and celebrate Multicultural Day with the ladies of PWA in true Pasifika style! Come in your traditional dress and help spread the love and appreciation for multiculturalism in this beautiful country – Australia. Bring your friends, your family…bring everyone to come and celebrate the cultural diversity of this nation with our amazing PWA ladies and guests! Please get in touch with us via email – treasurer@pasifikawomensalliance.com if you have any further queries. We look forward to seeing you – this is a celebration you don’t want to miss! 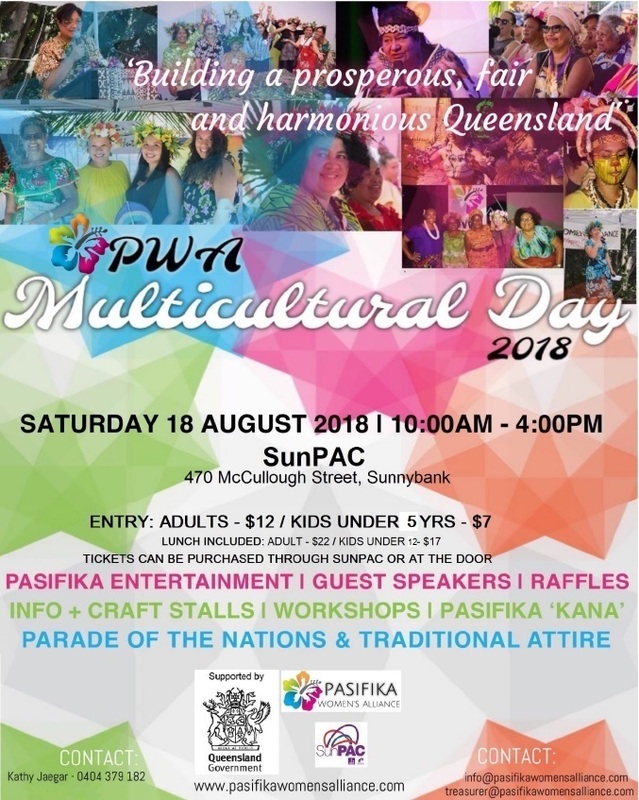 Previous Post Get your tickets to our PWA Multicultural Day 2018 Celebrations! Next Post 3 days to go!